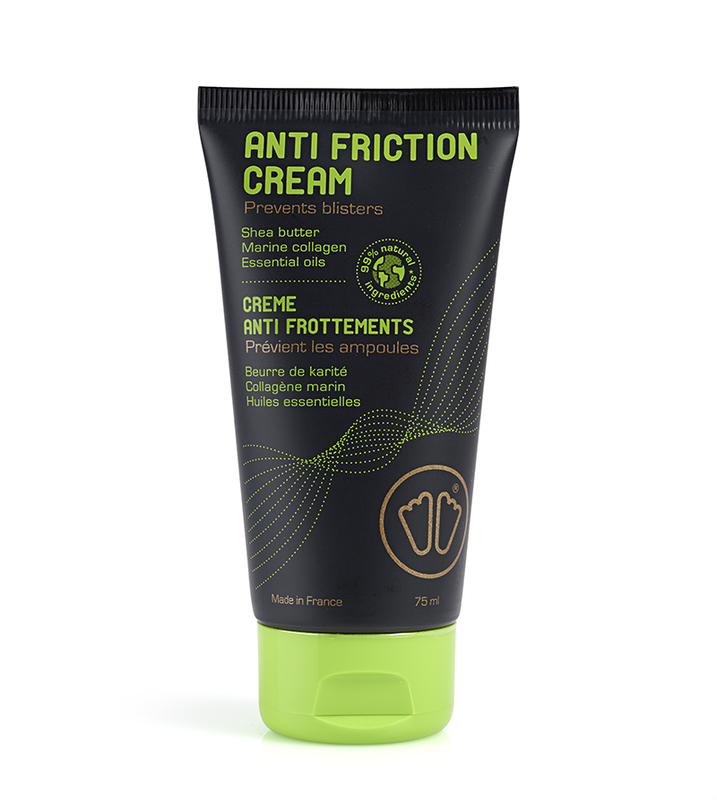 A natural anti-friction cream that prevents blisters. 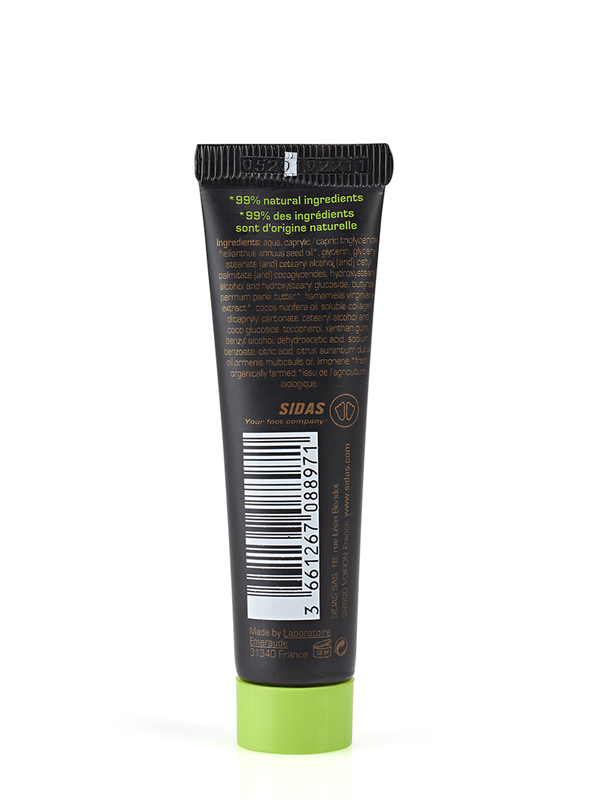 The cream protects, moisturises and revitalises your skin. 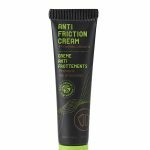 This cream using 99% natural ingredients has a protection action, forming a film that boosts the skins elasticity and defensive ability. 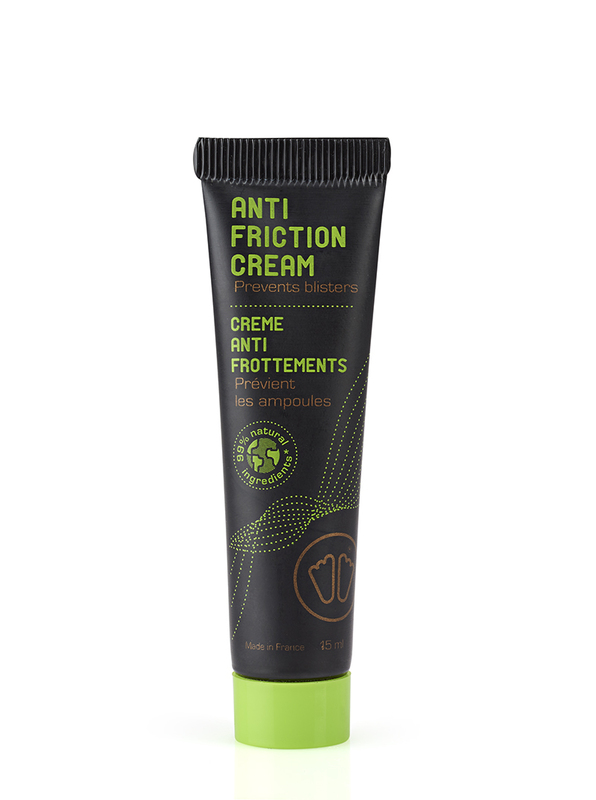 Apply before, and during sport if needed, to areas prone to friction to enjoy your activity in comfort. 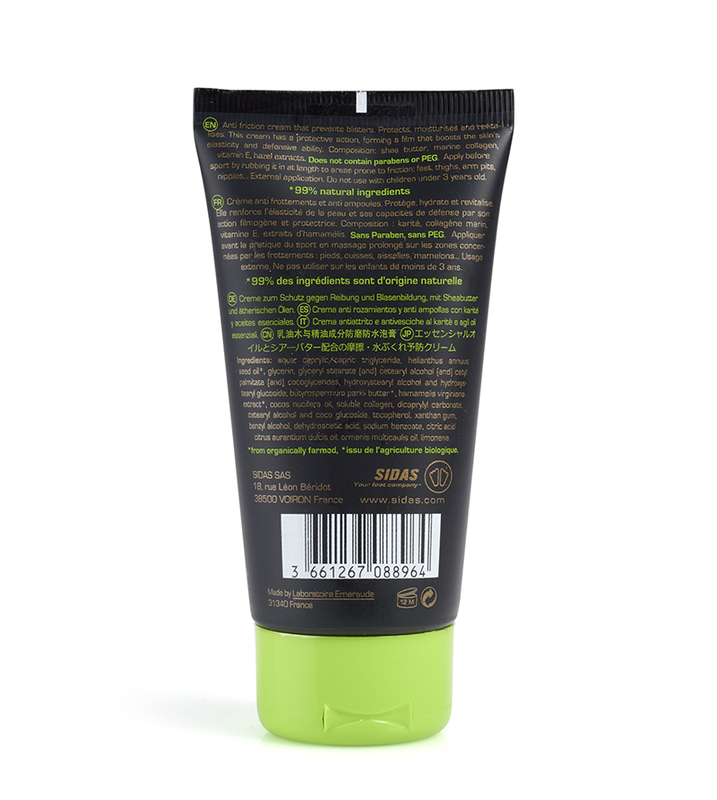 SHEA BUTTER, MARINE COLLAGEN, VITAMIN A, WITCH HAZEL EXTRACTS. 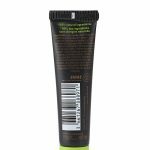 THIS CREAM DOES NOT CONTAIN PARABENS OR PEG. NOT TESTED ON ANIMALS.